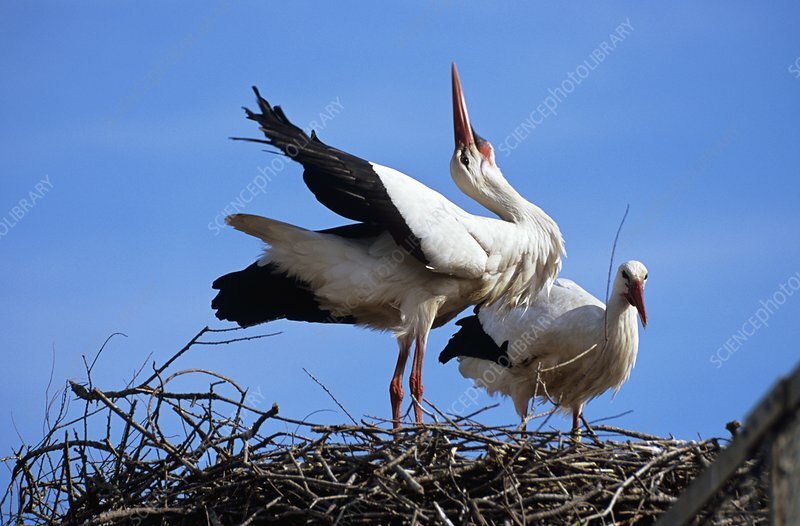 White storks (Ciconia ciconia) pair-bonding on their nest. The white stork is a large bird which inhabits marshes, lakes and streams. Its diet consists largely of frogs and other small creatures. It makes large nests in trees or on the tops of chimneys. It is a migratory bird, living in Europe in the summer, and flying in vast flocks to Africa and Asia for the winter. Photographed in the Camargue, a wetland and salt marsh region in southern France.